It’s no secret that Chinese has become more important in today’s economic situation. However, our children’s attitudes have not changed much! Mandarin is still a major hurdle for our mostly English-speaking youth. Here are five reasons why, and tips on how you can help overcome these mental obstacles. A lack of interest leads to bad marks, and bad marks leads to more resentment against Chinese. Just recently, Nathan Hartono shared his own disheartening experience learning Chinese. Sounds familiar? Many of our students’ parents also share the same feedback. Students who regularly score A for other subjects would do unexpectedly badly for Chinese. This leads them to avoid Chinese even more, as they do not see their efforts paying off, and they may even feel that they are just not suited to the subject. We all know MOE has been making the shift away from grades, and this is especially important for Chinese. The beautiful language can become a natural mode of expression, beyond grades. Hartono shares: “I realised that mastering my second language could open up a lot of opportunities.” By recognising the real-life benefits of Chinese, he began to study it studiously. I’m sure we’ve all had subjects we found particularly boring in school, but it’s not necessarily the fault of the subject. Sometimes, it’s due to the way it’s taught. Lucy recently wrote on Today that boring textbook content is the reason why Primary School children are not interested in Chinese. Stories in the school textbook are meant to impart morals and values, but the result is the content is not exciting or relevant to young pupils. They begin to associate Chinese with the old-fashioned, uninteresting content in the books. By contrast, English seems more relevant and young. An example she raised was that oral assessments often cover topics such as cleanliness campaigns or the kindness movement. And if your child never uses Chinese much outside of school, these are the only things they get to talk about using Chinese. It’s not surprising that they quickly lose interest! 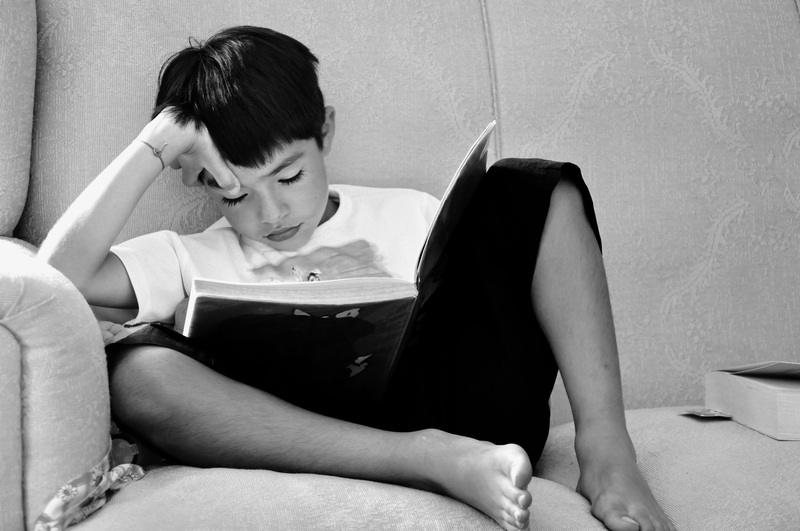 We often advise parents to let children read Chinese comic books or watch Chinese shows. Not only is it a form of practice, it also allows them to see the practical, relevant side of Chinese as a language and as a culture. This allows them to take pride in learning Chinese in the long term. Lucy also suggests sending students to immersion trips in Beijing or Shanghai so they can witness how advanced these Chinese cities are and why it is important to learn how to communicate in Chinese. In 2009, MM Lee said that Singapore school’s emphasis on reading and writing Chinese was the wrong approach. Not only that, he called it “madness” that students memorised entire passages only to “paste” in exams. With such prioritisation, children do not get to learn the language naturally. This impedes their growth as they bury themselves in model essays instead of developing their own abilities. In contrast, MM Lee felt that listening and speaking Chinese should’ve been given more priority. We feel that “writing” and “speaking” is not contradictory. Rather, we find that students who become better at oral also become better at writing, as they can naturally form more accurate sentences and have better vocabulary. The important thing here is to understand the steps it takes to master Chinese. First cultivate a love for Chinese as a fun language. Then, build more confidence and passion for speaking good Mandarin. The key is for children to be able to think and communicate naturally in Chinese. Once they are able to articulate their thoughts well in Mandarin, they are able to improve rapidly in reading and writing. This way, children will maintain their mastery of Chinese well into their adult years. If you are going to spend hundreds of hours on the subject, you would definitely want them to remember it outside of school! Our “Singaporean” brand of Chinese is a mix of Chinese with words in other languages such as English. Even fluent Mandarin speakers feel compelled to mix English words in their sentences. It’s natural in Singapore, but it does become a hindrance for children who require more practice interacting in Chinese. Diana Ser shared that her children must learn Mandarin with accurate pronunciation and standard grammar. She believes that children cannot speak a language well when they think in English and then translate it into Chinese. So, create a pure Chinese environment for practice! If you are unable to speak pure Chinese at home, you can enrol your child in enrichment classes so they can speak to peers. Not only do these inaccurate expectations inevitably lead to failure, it also means parents are not planning properly. The lack of a good plan is a big reason why they continue to struggle with Chinese year after year. As mentioned before, give your children more opportunities to think and speak in Chinese. So, make a plan and ask teachers or tutors if it is feasible. Mrs Kam suggests going to the wet market or Chinatown as a starting point. You can also consider doing more than just one hour of enrichment class per week. Many centres now provide more holistic learning. At Connected Learning, classes are 3 hours per week (spaced out) so that completely English-speaking children get the exposure they need. And because it’s all online, children can do it from home etc. without needing parents to fetch or supervise. Involve children in setting their own targets! And that’s it! Bad marks, boring syllabus, wrong focus, insufficient practice and wrong expectations are five reasons why children on the little red dot struggle to ace Chinese. Try out our tips and let us know if they work in turning good Chinese into reality! We’d love for you to try out a free online class with us to help your child embrace Chinese more. For more tips, like us on Facebook.